Things have been busy at Analynk this year. As the year closes, we would like to extend our thanks to all those who supported us with their business and their efforts on our behalf. Working together, the Analynk organization accomplished some notable goals. 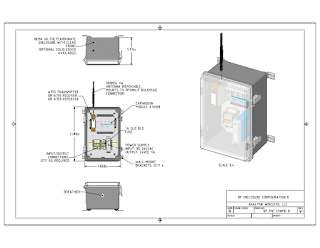 Introduced several new hazardous area enclosures for wireless access point equipment. Next year is already shaping up to be even better, with more innovative and creative products for establishing wireless process control connections across the room, across the property, and around the globe. Industrial wireless is not new, it is a mature technology. 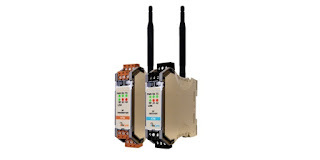 With the products available today, implementing a wireless process signal connection is no more difficult than installing a simple process controller. 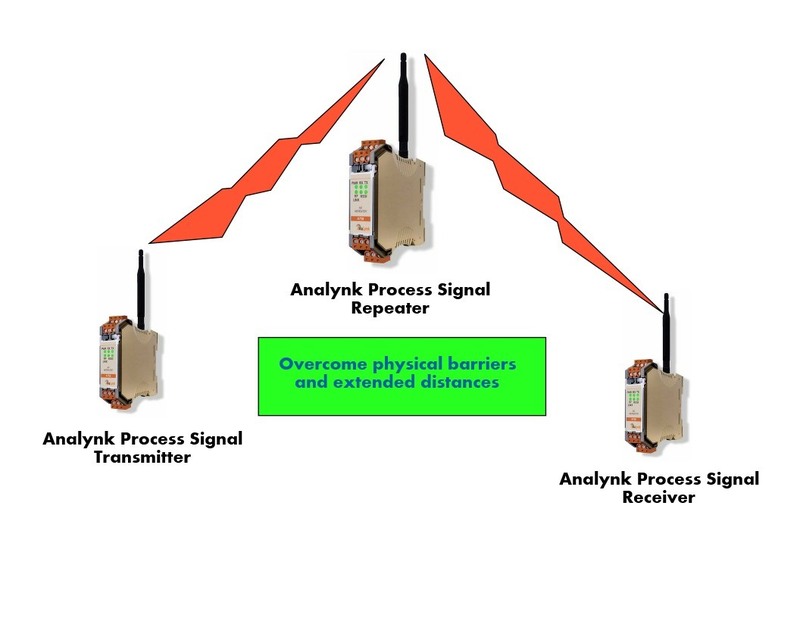 Analynk is a part of that simplicity, manufacturing modular receivers, transmitters, and companion products enabling operators at any scale to effectively deploy a 900 MHz or 2.4 GHz wireless solution. There are many instances where a wireless solution provides distinct advantages over wired installations. 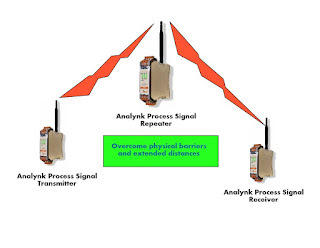 Understanding the simplicity of wireless installations, and that product based solutions are readily available, can unleash your ingenuity at solving process control challenges using wireless communications. A previous article may help you recognize opportunities to avoid expensive or difficult cabling, or actually make connections you thought were impossible. Let's look at a basic installation that measures temperature at a remote location (the measuring station) and transmits the signal to your office (the monitoring station). Power supply to operate the temperature measurement instrument and the Analynk transmitter. 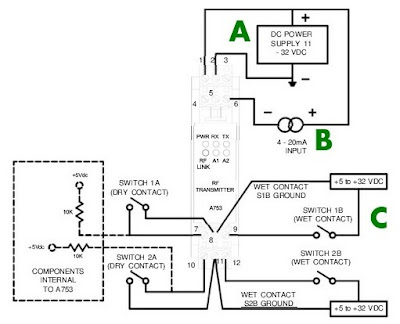 Analynk transmitters consume little power and can be provided with photovoltaic power supplies, if needed. Temperature measuring device of your choice with 4-20 ma output signal and up to two discrete outputs. It does not need to be wireless. Analynk transmitter located at the temperature measurement station to convert the 4-20 ma temperature signal to digital format and send it to the monitoring station. The connection between the temperature measuring device and the Analynk transmitter is wired. Analynk receiver located at the monitoring station to receive and decode the signal from the Analynk transmitter, converting it back to 4-20 ma. A wired connection between the receiver and your monitoring or recording equipment delivers the 4-20 ma temperature signal to its destination. The simple wiring connections to the transmitter and receiver differ little from those of most other devices (see the ABC’s on the illustration). B - Connect the input signal (if it's a transmitter) or output signal (if it's a receiver). C - Connect discrete inputs (if it's a transmitter) or outputs (if it's a receiver). Setting up the transmitter and receiver takes no more technical knowledge than other modern control devices. You follow instructions to set a few parameters, calibrate, and put the system into operation. 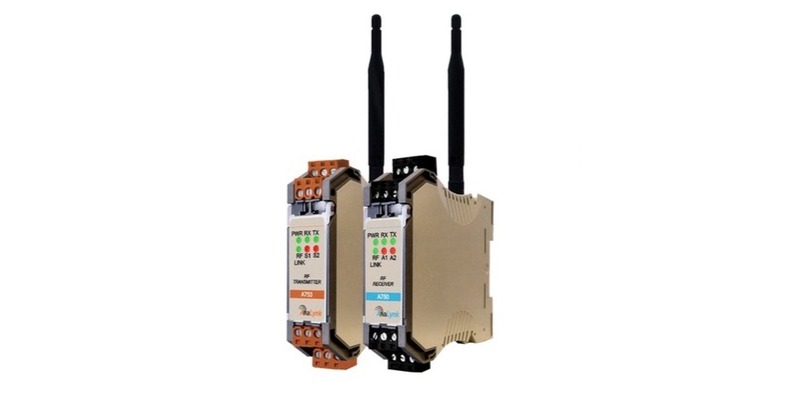 You can gang inputs and outputs together with an expander module and use a single transmitter and receiver to deliver multiple sensor signals. 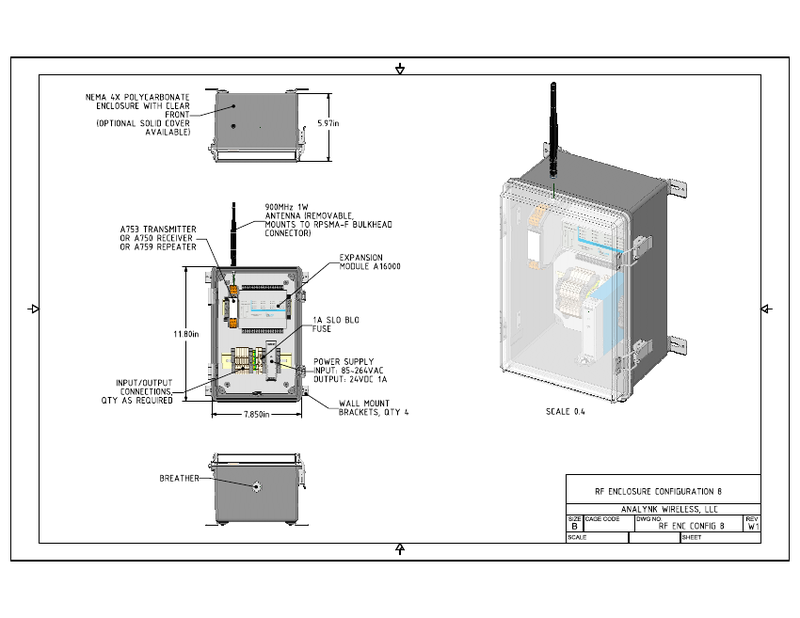 All units are DIN rail mounted with removable terminals for simple, organized installation and replacement. 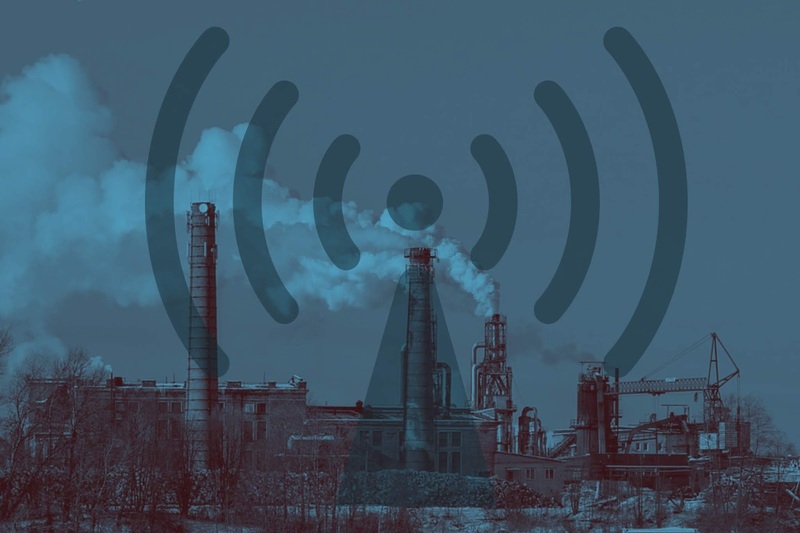 Wireless connections can expand your operating capabilities, as well as business opportunities. Analynk has made the implementation easy. Use your creativity and ingenuity to bring new applications to your operation. Contact Analynk anytime to discuss your ideas or get the help you need to put your ideas into action.